Why us? Why choose “Ding-A-Ling”? / what sets us apart. Why should we choose Ding A Ling Answering Services? We love this question, and we’re glad you asked! We know our All American team of agents cares. Every member of our staff resides right here in the USA. They know how your clients, and you, expect to be treated, and how to properly represent your company on every call. We know telephone answering service. We know what you will expect from our live secretaries, and we know how to equip them with all that they need to help you get the most from our service. You will hear the smile in our voices on every phone call we take, and the polite professionalism that matters in every business, everywhere. We deliver fantastic service and straight forward pricing. And the opportunity for you to see it for yourself with a no obligation free trial! We know the importance of your phone calls. Our secretaries go through extensive training programs to ensure that your callers hear that importance every time we take a call. It all does begin with a smile, but understanding your need for our service is equally important. Each secretary is trained on the requirements of every new client. We’ll answer your calls as you would yourself, and can provide information, follow scripts, or take and forward complete and accurate messages, all according to your desires and instructions. And as we continue to work with your company, our customer service team will continue to make the necessary improvements so that your service is always the most effective, and most efficient, live telephone answering service it can be. We know technology today. 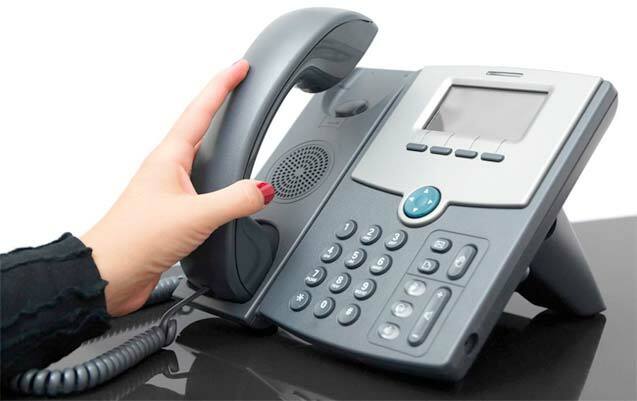 Our systems are the finest available in the telephone answering service industry. If you can dream it, we can build it. Our customer service teams enjoys a challenge, and enjoys delivering a service that will keep you smiling. Our systems are backed up by plans that include data, telephone, and electrical redundancy; and our multiple locations mean that we are always there for you. We know pricing matters. Our packages are no hassle, straight forward, and inclusive of all that you will require to accomplish your goal. All of our answering service packages include free texting, emailing, or faxing of messages, free patching (or transferring calls), free customized greetings, order taking, and more...and all are included for you 24 hours a day, every day of the year. With our competitive pricing, and consistently high quality of service, our value is unmatched in the industry. We know happy telephone agents make it all work. We enjoy, and so will you, the benefits of our long term, professional family of telephone agents and staff. A positive work environment, interactive and ongoing training, and recognition programs to bring it all together, each contribute to our ability to keep those smiling voices with whom you will become familiar. We care about your callers as if they were our own. 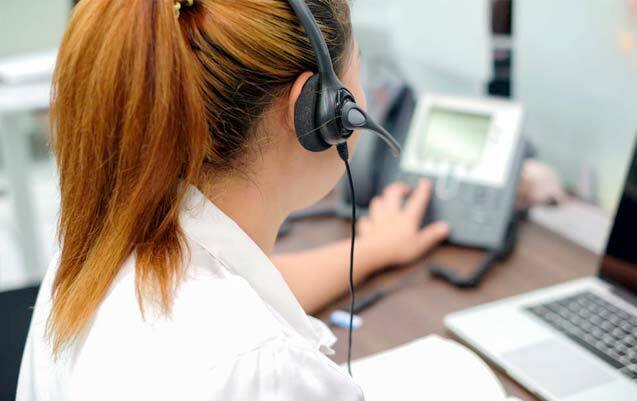 As a longtime leader in the answering service industry, we take serious our responsibility to deliver the highest level of efficiency, professionalism and friendliness to our clients and their callers. All-American: Our team is 100%, fully, no-exceptions-whatsoever based in the U.S. and English-speaking (except for our bilingual agents who are both English- and Spanish-speaking for your Spanish-language callers.) Working with an All-American team is a great benefit to you and your team, as well as to your callers. Call Experience: We strive for what we call a “Superior Call Experience” for each and every single call. From the call audio quality to the quality of the dialogue/communication between answering service agent and caller, we believe every call has the potential and every reason to be a “10.” This superior call experience is a key reason we are an award-winning leader in the answering service industry. Custom Message Delivery: How do you want your messages delivered? You decide and we will carry out your wishes. From SMS/Text to email to fax to phone, smartphone or other wireless device, we delivery your messages exactly to your specifications, accurately and reliably. Experience: We’ve been a leader in the answering services world since all the way back in 1974, that’s over four decades…and counting! We treat our clients and their callers with as much professionalism as friendliness, and we know what it takes to make sure you and they are happy and satisfied with the level of services we provide. Personalized Answering Service: There is no one-size-fits-all answering service, and anyone who tells you there is will end up giving you something that just doesn’t fit properly. Our team will create a customized suite of answering services to fit your exact needs and budget. And because we don’t tie you into any long-term contracts, you can adjust and adapt based on season, growth patterns, new products/services and more. Single Point of Contact: From the moment you choose Ding A Ling Answering Services and get started with our ASC team as your outsourced telephone answering service provider, we will make it easy for you to contact us with questions, changes or issues. We believe in efficiency and service, and to that end, you will have one representative you can call or email directly, without the hassle of going through multiple people every time you need something. Staff Retention: Our staff is known far and wide as one of the happiest and long-term in the business. We treat our internal team like family, and some of our employees are already second-generation working with the company. The family-like atmosphere and general positive atmosphere we create and sustain at Ding A Ling Answering Services carries over – in spades – to our clients and their callers. Web Integrated: Our technology, especially as it integrates into an online/web environment, is second-to-none in the answering services industry. Our clients are enabled and empowered to view, change and/or manage their services through our unique, user-friendly, highly powerful secure web app tool. Toll-Free Numbers: Whether you do business locally, regionally, nationally or even globally, chances are having a toll-free number will help attract more calls and more interest. We offer this service, as one of many, and are happy to tell you more about the features and benefits of adding it on to your suite of answering services. We want to hear from you! Ready to get set up with Ding A Ling Answering Services today? Still have questions? Want to discuss the best service options for you? Contact us via email or phone (1-800-224-6188) and we will get you help and guidance for whatever you need. We look forward to serving you and your callers!